28-year old house cleaning industry veteran Custom Maid raises its online marketing presence by releasing its new website aimed at further personalizing the experience it has with its audience. The focus for this web site went way beyond just putting another pretty face out there. We wanted a web site that got results! 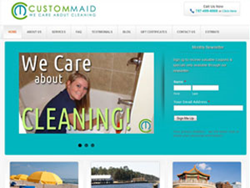 Long Island Web Design firm Online Marketing Muscle congratulates house cleaning veteran Custom Maid for raising its online marketing presence with the release of its new web site https://HouseCleaningByCustomMaid.com. "Alison Palmer, owner of Custom Maid wanted a web site that would stand up to their stellar 28-year record in the Virginia Beach, Norfolk and Chesapeake VA communities," says Online Marketing Muscle President Dean Mercado. "So we partnered with Custom Maid, putting our collective brains together so to speak, and came up with what we believe is a winner." Mercado continues, "The focus for this web site went way beyond just putting another pretty face web site out there. We [Online Marketing Muscle and Custom Maid] wanted a web site that got results!" The house cleaning industry is one of the most personable industries out there. Think about it. House Cleaning technicians are in your personal space... cleaning in your closets... underneath your beds... you name it. There has to be a certain level of trust between house cleaning companies and clients. Custom Maid's new web site hones in on facilitating that trust by allowing their audience to really get to know them. "The people you see on their web site are really them," Mercado states. "These are some of the same people you will see come to your home to clean. I just think that's fantastic!" Custom Maid's new web site includes extensive features and is organized in a manner aimed at increasing the amount of value they provide for their audience. Mercado adds, "Custom Maid's willingness to continue to raise their level of service even after 28 years of success is what makes them one of the finest house cleaning companies across the nation. We can say that because we have worked with a large number of them over the years. These folks simply get it!" To see Custom Maid's new web site visit https://HouseCleaningByCustomMaid.com. 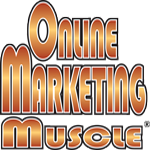 A Long Island based Internet marketing consulting company, Online Marketing Muscle helps service-based small and mid-sized businesses use the Internet in building their visibility and credibility. The company combines Internet Marketing Coaching and Internet Marketing Consulting to help clients focus on solutions right for them to find the best path to achieving success. 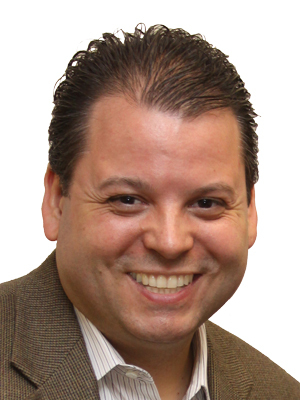 Dean Mercado, President and CEO of Online Marketing Muscle is a well-respected marketing coach, strategist, author, and speaker with expertise on helping small business and independent professionals leverage the power of the Internet to increase their visibility, credibility, and reach within their target market. Custom Maid is a group of women who have been cleaning houses in the Virginia Beach, Norfolk and Chesapeake VA communities since 1985. In those 28 years they have done over a QUARTER MILLION house cleanings.